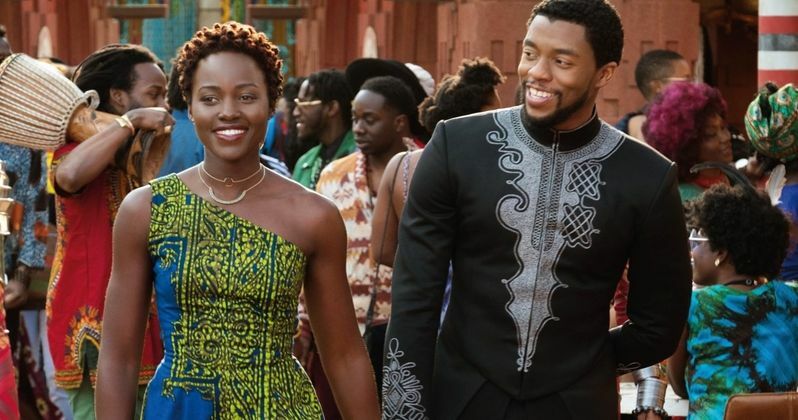 Black Panther returns to the big screen with free screenings for Giving Tuesday at nonprofit art house theaters nationwide on Tuesday, November 27th. Presented by Film Comment, a publication of the Film Society of Lincoln Center, and supported by the Art House Convergence, the event will feature a post-screening live-streamed Q&A with director Ryan Coogler. The one-night-only event offers audiences an opportunity to experience the acclaimed film on the big screen once again with their local communities. Black Panther is director Ryan Coogler's take on a modern African hero and a utopian vision of what an uncolonized Africa might look like. The film explores the conflict between two powerful men, one African and one African-American, who are mirror images of each other, each grappling with his own history, home, and very identity. When Prince T'Challa (Chadwick Boseman) becomes king of the hidden, technologically advanced kingdom Wakanda, he is forced to defend his throne against rogue mercenary Erik Killmonger (Michael B. Jordan). Wakanda is also alive with strong, intelligent women-from Wakanda's elite all-female security force, led by Okoye (Danai Gurira), to the international spy Nakia (Lupita Nyong'o), to T'Challa's tech-savvy sister (Letitia Wright) and mother (Angela Bassett)-who are portrayed as equals to the men they protect and advise. Film Comment is for everyone, art houses are for everyone, and Black Panther is for everyone. The one-night-only event offers audiences an opportunity to experience the acclaimed film on the big screen once again with their local communities. Leading up to and during the Q&A, attendees are invited to submit their questions to Ryan Coogler on Twitter with the hashtag #AskBlackPanther. All attendees will receive a free one-year digital subscription to Film Comment magazine. Coogler, director and co-writer of Black Panther, was featured on the cover of Film Comment's March-April 2018 issue with a story by Devika Girish. Nicolas Rapold, the magazine's editor-in-chief, will moderate the discussion. You can take a look at the theatrical rerelease trailer for Black Panther, which comes direct from Marvel Studios. Film Comment presents Black Panther with support from the Art House Convergence: Tuesday, November 27 at 4:00pm PST/7:00pm EST.